Texas State Optical was established in 1936 when the Rogers family opened the first TSO office in Beaumont, Texas. Our founders planned for TSO’s continuous growth and expansion of services, but not without first building a foundation of eye care and quality eyewear that result in loyalty and return visits by hundreds of thousands of patients over the years. 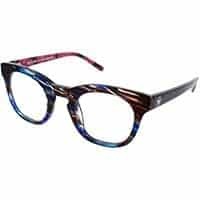 It became their vision to offer convenient locations, qualified Doctors of Optometry and a large selection of competitively priced eyewear presented by knowledgeable and well trained opticians. These core fundamentals of Caring for the Eyes of Texas have remained unchanged since 1936. Today, Texas State Optical has provided more Texas families with quality eye care than any other eye care organization. We have earned recognition as the largest single provider for vision benefit plans in Texas so it is likely that a local Doctor of Texas State Optical is a provider for your vision plan. When you need eye care, the first step is a comprehensive eye examination from a qualified doctor you trust. A well-trained and friendly optician associate will then help you select the eye wear that best fits the way you use your vision. With technology ever-changing we use our vision, it is important that you have regular eye examinations. Doctors of Texas State Optical are therapeutically licensed to treat many medical eye conditions and practice a full scope of primary, family eye care. Our mission is to help you see the important things in life. If it’s important to you, it is important your local Texas State Optical doctor and staff.